Rent A Giant Human Whack A Mole, an arcade favorite brought to life. Don't just play the game, be in it! One person stands in the middle and tries to “whack” 6 “moles”. Don’t worry the moles are actually other people who are trying to grab as many balls as possible to take them into their holes and store them in a pouch. The person who retrieves the most balls is the winner! 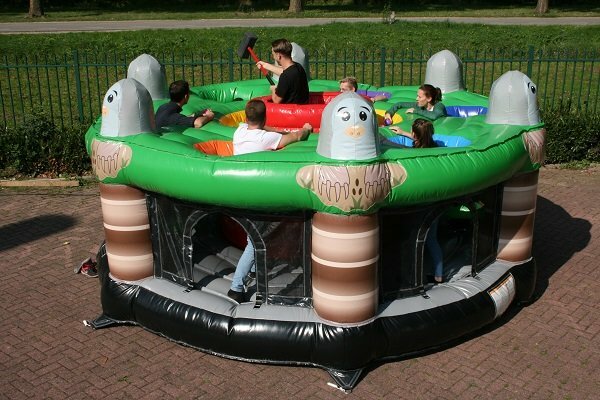 Great for schools, churches, company picnics, team building events, and backyard parties. You must have a 4' opening for this inflatable.